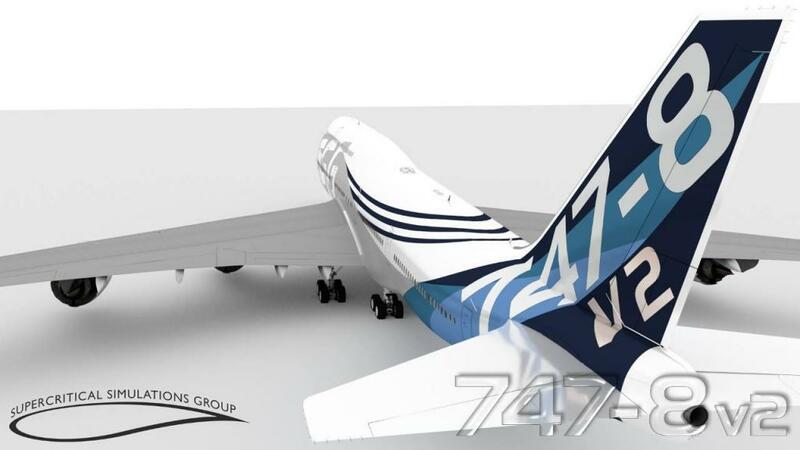 While we wait for the imminent release of Supercritical Simulations Group's (SSG) new ERJ-700... the developer has released images of their next release which a complete redesign of the Boeing 748i to version v2. 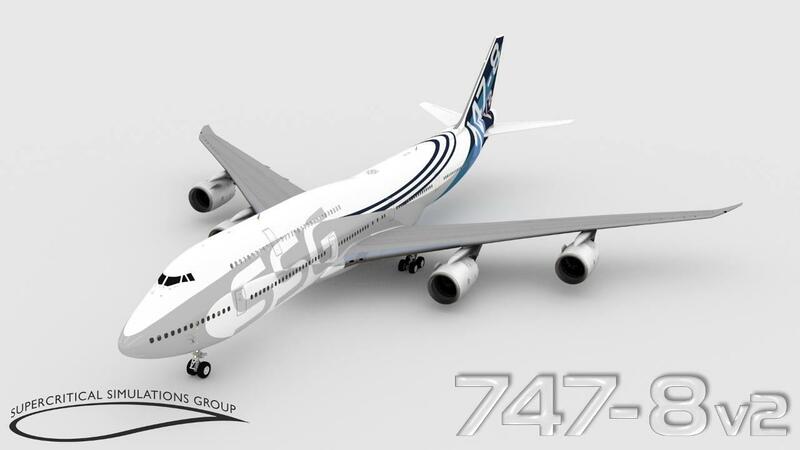 The SSG Boeing 748 series has had a bit of a troubled history since it's release in December 2013 (yes it is actually SIX years old). 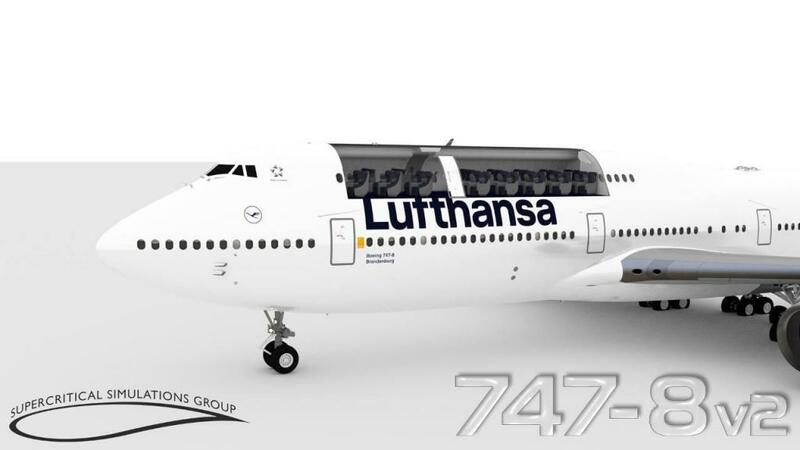 So was the project a bit too ambitious for a fledgling if very talented developer house, and the B748 version was also a bit of an odd choice as well when the B747-400 would have certainly been embraced with a bigger enthusiasm. It is a hugely complex aircraft as well one that was not the most efficient on the computer power of that era. So for most of it's early life the SSG B748 was a bit of a troubled soul, if also for some odd reason it was also a bit boring to fly with a very vexing FMS, and I am one that adores that Big Queen of the Skies and humpback fame of the 747. But I was certainly very surprised when I checked out the last update in v1.9.1 as the B748 was finally feeling really quite good, I actually enjoyed the flight and FMS was now well sorted and I liked the aircraft so much that I turned around and flew straight back to my original departure point of Dusseldorf from Sweden to see if my feeling were not a fluke, they were not, I enjoyed the aircraft immensely. So big improvements with a lot of updates were finally showing results. 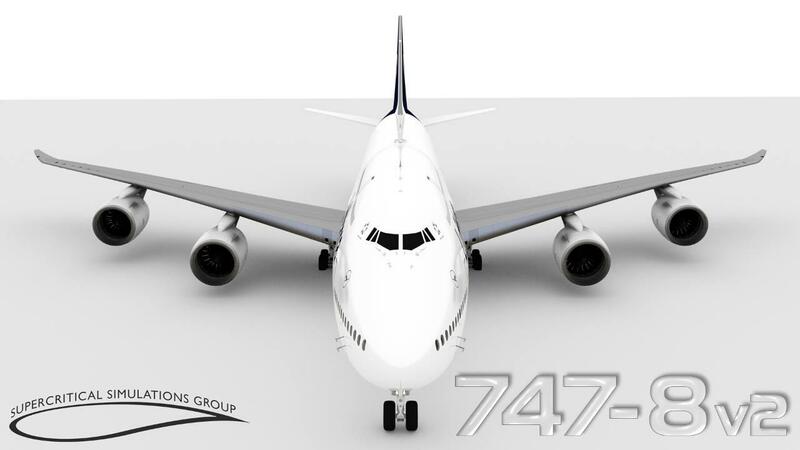 No doubt that SSG could have just kept on updating the skin out of the B748, but instead have gone for a complete clean sheet approach, and this looks really interesting... you have also to gotta love that v2 livery! - Added fuselage animations and details (pretty much anything that can open/move on the aircraft Is modeled). "The textures for the entire aircraft are also new to match the new model in 4K resolution and of very high quality, along with decals for certain detailed areas, right down to most of the external placards. We are working closely with our technical advisors to ensure all the main details are present and that we are getting them right. Similar work is being done in the cockpit, cabin, and for its systems, autoflight and FMS. It is not a mere update, this will be a whole new aircraft." SSG do note though that a 11.30 upgrade is coming next and soon for the B748 before the v2 is released, this is to keep the aircraft current to the X-Plane-11.30 specs (In other words to keep you flying). So this will be a very interesting update, not only externally but also internally as well as everything internally and opening doors will be modeled (cargo version is currently modeled inside, but not the passenger version). The trick area is the cockpit textures and there has been countless revisions from both SSG and users in trying to fix the feel of the B748 flightdeck, and currently it is actually not to bad but still a dark ominous place to fly, and somehow it is still "that" missing something (It is very nice at night though). 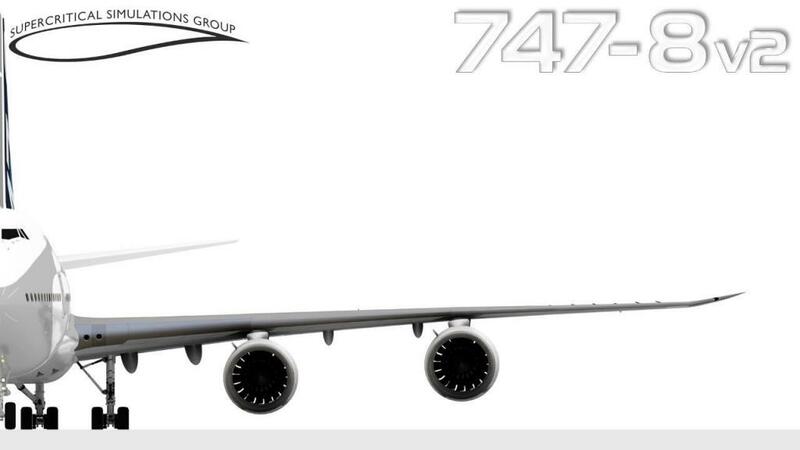 Personally I am hoping that 2019 will see the revival of the long haulers in X-Plane... someone asked me not long ago what was the best purchase for long haul flying, and personally I couldn't recommend anything really substantial to fit the category, all current long haulers are well below par, in fact the B748 was actually the best on offer. The FlightFactor B777, A350 are well over due as is the new A340 from JARDesign, Peter's Aircraft A380 is also in a new but slow development cycle. The Dreamliner by MagKnight is progressing well and is now at least useble, as that is saying something of the default B744 which quite frankly is still a total mess. The coming Rotate MD11 will be a an amazing addition, but if you are a real world flyer then the aircraft will be mostly flown on cargo routes... so to a point this current B748 from SSG is flying the long haul X-Plane11 flag alone.... here is to a better 2019. Wow! It's great that you started to upgrade this plane! I really like to fly on it. And, as you said, it is excellent for long-haul freight. I hope the flight model will also be upgraded. On low-power computers, there is a strong slowdown in the response of controls.